Hyuga gave an impressive speech for Personal file in front of the employees and board of directors. After the speech, everybody stood up and applauded. Makoto was amazed by the presentation. However, the board of directors dismissed the idea as it will cost them a lot of money and they deem it as impractical pursue of dreams. Feeling angry, Hyuga wanted to trash it out with the board of directors but was restrained by Asahina. At the lift, Makoto was reminded of the scene when Hyuga and Yoko kissed at the restaurant. She slapped herself on the face to snap out of it to the surprise of Hyuga who shared the lift with her. Yoko coincidentally stepped into the lift and Makoto dashed out. The atmosphere turned awkward and Yoko brushed off that incident with Hyuga as just a kiss. The next day at the office, Hyuga said that Personal file is at its experimental state and suggested to test it out at the countryside. This idea came from Makoto during lunch time, Hyuga saw the exclusive lunchbox and lamented that Makoto did not know who created it. The ball pen was apparently created by this man called Aoyama whom Makoto connected with online. Hyuga pointed out that Makoto will accompany him for the trip to thank Aoyama personally for the lunchbox. Asahina was pushed down a flight of staircase at night and was hospitalized. Hyuga visited him in the hospital and mentioned that he met an old friend named Tono. He volunteered to invest 100 million dollars for the personal file server. At the village, Hyuga nervously introduced himself to Aoyama. Makoto thanked Aoyama for the lunchboxes and was given a warm welcome at the entrance. Aoyama gave a fresh tomato to Makoto who ate it merrily. Hyuga and Makoto went out to the field to conduct a survey of the people who may be interested in personal file but was met with obstacles. At the meantime, Hyuga got a message from Yasuoka that JI technology has withdrew the contract with Next innovation and has invested in another personal file. Not about to give up, Makoto volunteers to approach the people in the village but was stopped by Hyuga because it was currently 12am. The next morning, they set out to approach the villagers but the response was bad. During the teleconference, the board of directors mocked at Hyuga and officially terminates the personal file project. Makoto wanted to console Hyuga but was led away by Aoyama. Aoyama shared that Hyuga is wet behind his ears and needed time to be alone. He told Makoto to give him some space to think it over. The next day, Makoto asked Hyuga to go out to the field for a walk. Makoto shared about Aoyama experience and new products need to meet failures and be criticized by people and that it’s the beginning of new creation. That gave Hyuga energy to start his Personal file project again. It was time to go back, Aoyama gave the ball pen which he created to Aoyama and a villager encouraged Hyuga not to give up. To which, Hyuga said that he will continue to work on this project and Makoto gave a wide smile. On the plane back to Tokyo, Hyuga fall asleep on Makoto shoulder. Makoto keeps grinning when alighted from the plane and Hyuga wondered why she is behaving weirdly. Before Makoto can ask about Hyuga and Yoko relationship, a bad news arrived and Hyuga was told that Tono had disappeared. To raise money for the interface, Hyuga decided to sell his shares. Hyuga gave a box of fresh tomatoes to Yoko who offered to cook Tomato omelet for him. Yoko accidentally runs into Yoko and Hyuga at the restaurant. Yoko caught up with Makoto and asks her why she is reacting this way. Makoto said she just wanted to stay at Hyuga side and support him. Now Yoko view Makoto as a love rival. Hyuga came out to meet them and Makoto ran away. Yoko turned to Hyuga and asked for ride home. At the traffic junction, Yoko saw Makoto at the traffic light and asked if Hyuga saw Makoto. Hyuga replied no but he looked at the rear way mirror and saw Makoto crossing the road. 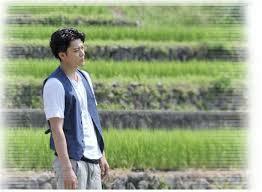 It turn out that Asahina had cooperated with Tono to stage an act and purposely injured himself with a plan. Asahina passed a thumb drive to Tono and the next thing we know, the personal file was hacked and all the information was leak out to the public.